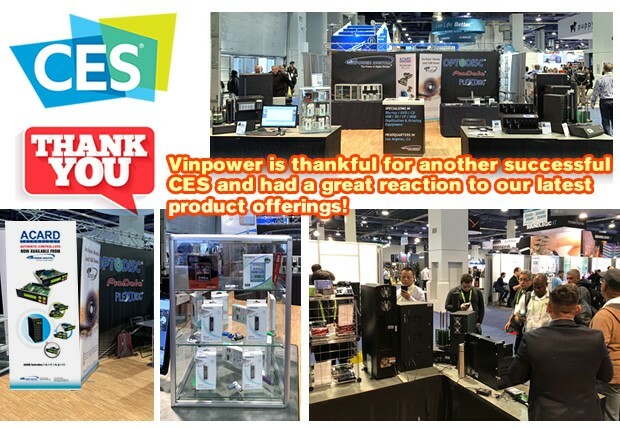 Vinpower is thankful for another successful CES and had a great reaction to our latest product offerings! Thank you to everyone that visited Vinpower’s booth at the 2019 CES trade show. Once again, Vinpower received great feedback from the show floor and took a number of meetings with valued customers and vendors alike. This year, we highlighted a number of key products and offerings, like the enhanced iXflash Apple iPhone/iPad flash drive, traditional USB flash media, top grade Piodata and Optiarc SSD drives, and our newest offering the authentic ACARD line of duplication controllers. In addition, we showcased examples of our publishing and duplication hardware along with our proprietary line of optical discs and drives. • Mobile Work Station by supporting a wide range of file formats, including WORD, Excel, PowerPoint, PDF, as well as supports uncompressing ZIP, RAR and 7z, to name a few. • True photo backup, that doesn’t matter if it’s standard photos, live photos or even photos stored on iCloud, the iXflash APP will make an exact backup for you, including matching the actual time and location tags! • Live Recording Plus, allows you to records video or photos directly to the iXflash drive without using any of your iphone/ipad’s internal memory, not even as a buffer like competing devices!! The Piodata and Optiarc SSD line will provide 100% certified top performing SSD drives that are suitable for all working environments. Never again will you have to sorry whether your hard drive has the speed, reliability, or longevity to hold your most important and critical content today and well into the future. Plus, with Vinpower acquiring the ACARD duplication elements, it will allow us to service markets we never had access to as well as enhance our current duplication offerings for new and improved applications in the future.